Exchange agreements are special arrangements that CEHS has with other academic institutions to allow for the exchange of students, scholars and collaboration on research. CEHS is actively engaged in the following partnerships. The Department of Child, Youth, and Family Studies in the College of Education and Human Sciences currently has an exchange program in place with East China Normal University 华东师范大学 in Shanghai, China. This partnership involves fostering a global familiarity of Early Childhood Development Education between students at Nebraska and students from East China Normal. Visiting Chinese students spend time interacting with University of Nebraska faculty and peers on topics related to early childhood services. As part of these interactions, students observe preschools and early childhood centers on campus and throughout Nebraska. The first exchange of students occurred in Fall 2012 with students from our Shanghai partner coming to Nebraska. 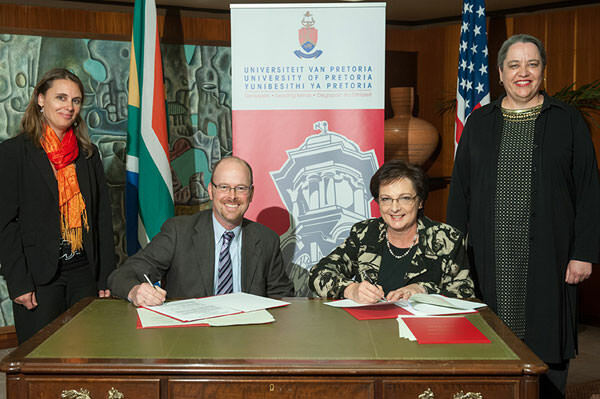 A Memorandum of Understanding between both colleges was signed in May 2013. The Department of Teaching, Learning and Teacher Education in the College of Education and Human Sciences has partnered with Mexico’s Universidad de Monterrey (UDEM) since February 2010 when a Memorandum of Understanding was signed. While violence in Mexico and the university’s related policies do not allow student exchanges at this time, two UDEM graduate students have come to Nebraska to the Department of Teaching, Learning and Teacher Education to pursue doctoral work, and university faculty have continued to collaborate with UDEM colleagues. This includes the generation of 15 publications and two books focused on the educational challenges and opportunities created by movement of students between the two countries. The Department of Teaching, Learning and Teacher Education in the College of Education and Human Sciences has led the creation of a new partnership with the faculty of education at South Africa’s University of Pretoria. A Memorandum of Understanding was formalized with a signing in July 2013. The exchange has included faculty from both universities crossing the Atlantic to visit the other, joint publishing opportunities related to schooling and immigration, and a special inter-session graduate seminar in Pretoria that enrolled students from both campuses. That seminar, which had University of Nebraska faculty-led workshops on mixed methods research and language planning, included 12 Nebraska students as well as 140 University of Pretoria students from 10 different African countries. Pretoria led a trip to Nebraska in 2015 and Nebraska faculty returned to South Africa with students in 2017.